Plungers make for great cast gifts. What? A plunger as a gift? Why would someone do such a thing? We did! My older boy was in his school production of Urinetown. He gave each of his cast mates plungers at the cast party. 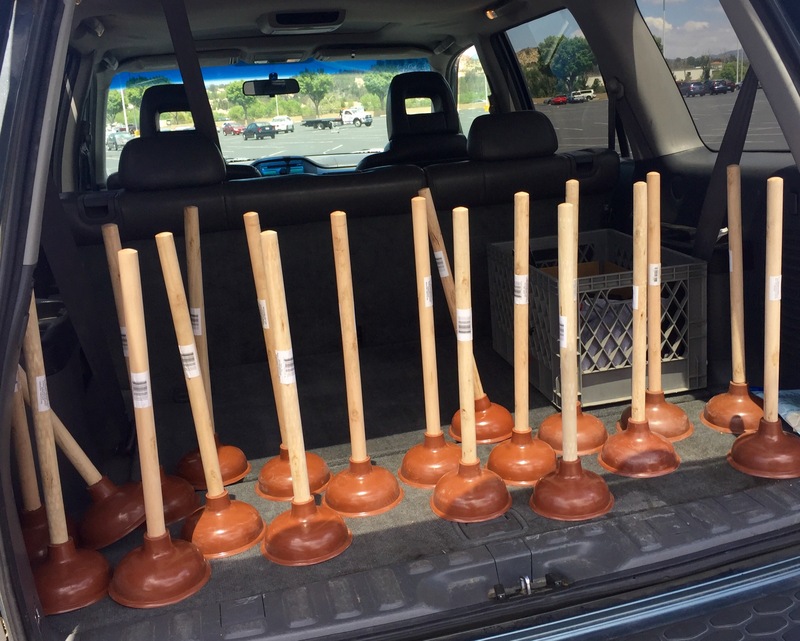 The plungers were a huge hit. 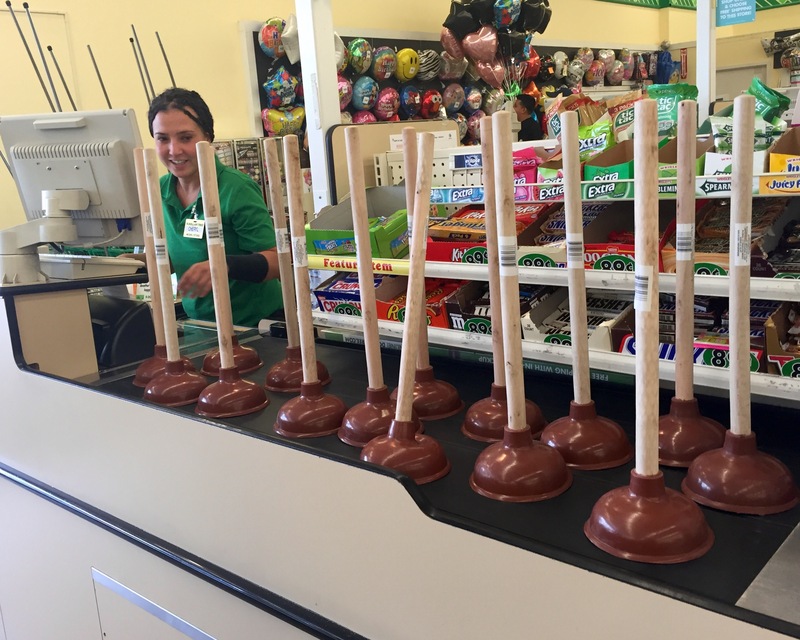 We went to three dollar stores to purchase a total of 32 plungers. Check out the back of the car after the first stop. Check out the check out clerk. She smiled but said nothing about what has got to be the oddest sale of her career. Easy, inexpensive, uniquely themed, fun to create, thrilling to give and awesome and odd to receive. The perfect cast gift.